What is that slimy patch on your wall? It’s a question which most home and office owners easily ignore and move on, thinking it to be a harmless discoloration on the wall or ceiling. Little do they know that this could be a small fissure caused by a leak or a damp wall, and can breed the most dreaded type of organic growth - mold. Mold formation sneaks around in poorly ventilated, damp corners of your house and before you know it, eats away into furniture, interiors and other items in your property. 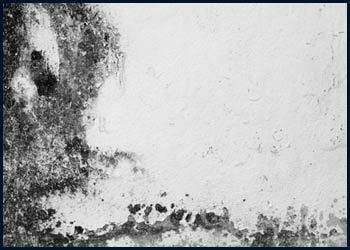 Routine maintenance activities such as painting, rust control and cleaning are things that most home owners are very particular about, but they either forget or choose to ignore one important thing – mold remediation. A recent call which we at West Palm Beach Emergency Restoration received from a distressed client is one of the more ruthless examples of mold attack, which you would come across in West Palm Beach, FL area. A family of four had been reeling around a mold proliferation in their house for over 3 months, causing major health issues to set in. There was the frequent flu which the family members were falling prey to; there was a sharp increase in the instances of pneumonia, viral fever and breathing-related disorders in the family. All the more, the family told us that visitors would often complain to them about a lingering foul and rotting stench in the house, which is when they took up the phone and gave us a call on 561-408-9703. It just took a few minutes of inspection from our experts to unearth the reason - mold growth. Why you need professional mold remediation? You would think it is best to try DIY methods you can get from the internet in order to control mold growth, but there is that sure chance of these methods not being preventive and mold growing back eventually. 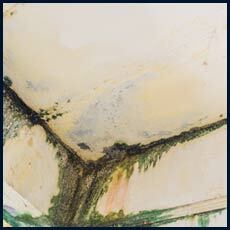 Timely detection: Mold takes around 48-72 hours to get out of hand. This is why we vouch for timely diagnoses and put in the corrective measures to curb it. Making use of advanced thermal imaging and other sophisticated gadgets, we can detect and cure any mold growth in no time. We remove ALL mold: It might be an established mold colony infesting the walls, ceilings or sides of your cupboard; we can detect and quarantine them effectively so that they do not have a chance at proliferating. We eliminate the source: The mold growth is just the end, superficial problem, while its root cause can be a leaking pipe or a damp spot somewhere. Realizing this innately, we go ahead and zero into this root cause and handle it effectively using dehumidifiers and other state of the art equipment. We’ve got special cleansers: Repairing mold infested items such as carpets, furniture and crockery is our expertise and we only use chemical agents which are safe for use at home, but lethal for the mold itself. 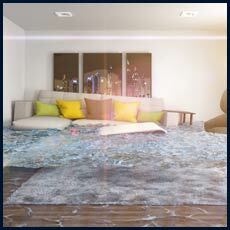 Prevent future growth: We can easily single out the mold affected items from your belongings and quarantine them. 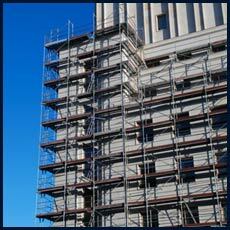 We also apply effective resistant agents and paints to prevent a recurrence post controlling the mold growth. Has a mold attack turned your life upside down? Then do not fret the least as we are available at your service anywhere in West Palm Beach, FL. Our 24X7 helpline - 561-408-9703 is the only number you would ever need to call to get a resolution!